R.V. Easwar, J. – This writ petition has been filed by Sony Mobile communications (India) Pvt. Ltd. (“Sony Mobile” hereafter) a company which has now merged with Sony India Pvt. Ltd., the petitioner in WP(C) No.1235/2014 (“Sony India”, hereafter). The claim in the petitions is for issuance of a writ quashing the attachment order passed by the first respondent i.e., the Additional Commissioner of Income tax under section 226(3) of the Income Tax Act, 1961 for the assessment year 2009-10. The impugned order was passed on 17.2.2014 in the circumstances narrated below. 2. Sony Mobile was incorporated on 23.4.2007 as a subsidiary of Sony Ericson Mobile Communications of Sweden. It is engaged in the business of importing, buying and selling a wide range of mobile phones in India and providing after-sales support services. In respect of the assessment year 2009-10, it filed a return of income declaring a total income of Rs.31.13 crores. The first respondent i.e. the Assessing officer, scrutinised the return after issuing notice under Section 143(2) and referred the return to the transfer pricing officer (TPO) requiring him to determine the arm’s length price of the international transactions of the petitioner. The TPO recommended the adjustment of Rs.70.15 crores on account of excess advertising, marketing and promotion expenses (AMP expenses) incurred by the petitioner in respect of the brand owned by the foreign parent company. A draft assessment order was accordingly prepared by the first respondent on 26.3.2013 proposing to make a transfer pricing adjustment of Rs.70.15 crores on account of AMP expenses and disallowance of advertisement and marketing expenses of Rs.12.27 crores on the footing that such expenses were capital in nature. 3. Sony Mobile filed objections to the draft assessment order before the dispute resolution panel (DRP) which gave some minor relief in respect of the transfer pricing adjustment but dismissed the other objections. In terms of the directions of the DRP, a final assessment order was passed by the first respondent on 10.1.2014 computing the total income of the petitioner at Rs.113.56 crores and raised a tax demand of Rs.43,87,90,358/-. “01. Mere filing of an appeal with the ITAT is not ground enough for the stay of recovery proceedings. 02 From perusal of your latest return of income filed, it is observed that your financial condition is stable and you have liquid funds at your disposal. Since you are in a position to pay the outstanding demand, and it will not cause any genuine hardship on you, your stay petition is rejected. 5. On the same day on which he rejected the application filed by the petitioner, i.e. on 17.2.2014, the Deputy Commissioner, Circle 9(1), New Delhi issued a notice under section 226(3) to the Branch Manager, Citi Bank (Parliament Street Branch) calling upon it to pay any amounts which Citi Bank had to pay the account holder, Sony Mobile. The relevant details of the amount of tax due from the petitioner were also given. Thus, the Citi Bank was garnished from making any payment of the monies which the petitioner had in its bank account with the said bank. 6. On 19.2.2014 (wrongly written as 19.3.2014) the Citi Bank wrote to the Deputy Commissioner of Income Tax reporting compliance and enclosing the demand draft in favour of the Deputy Commissioner of Income Tax, Circle 9(1), new Delhi for an amount of Rs.43,87,90,358/-. 7. On the same day, the Deputy Commissioner of Income Tax wrote to City bank that the bank account may be released from attachment since the assessee has made sufficient payment. 8. This writ petition, by Sony India Pvt. Ltd. seeks the same reliefs as in WP(C) 1178/2014. For the sake of completeness of the record we may notice the following facts. Sony India was incorporated in India on 17.11.1994; it was a subsidiary of Sony Holding (Asia), B.V., Netherlands and Sony Gulf FZE. It is engaged in the business of importing and disputing a wide range of consumer electronic products in India and providing after-sales support services. In respect of the assessment year 2009-10, it filed a return of income on 29.9.2009 declaring a loss of Rs.24.72 crores. After issue of a notice under section 143(2) of the Act, the AO referred the matter to the TPO for determination of the ALP of the international transactions. The TPO made an adjustment of Rs.149.35 crores on account of excess AMP expenses and another adjustment of Rs.5.98 crores on account of additional compensation for software services transactions. The AO prepared a draft assessment order on 26.3.2013 on the basis of the recommendations of the TPO and after making further disallowances, determined the total income of the petitioner at Rs.161.56 crores. Objections were filed by Sony India before the DRP which gave some minor reliefs but substantially dismissed the objections. 9. On 13.1.2014 the AO passed the final assessment order computing the total income of Sony India at Rs.137.26 crores, against which it preferred an appeal before the Income tax Appellate Tribunal, Delhi Bench in ITA 837/Del/2014. The said appeal was filed on 13.2.2014; a stay application was also filed before the Tribunal on 18.2.2014. 10. In the meantime on 14.2.2014, Sony India filed an application for stay of the payment of tax under section 220(3) of the Act. On 19.2.2014 Sony India appears to have met the officer in connection with the stay of demand and informed the latter of the stay application field before the Income Tax Appellate Tribunal. It further appears that the first respondent did not dispose of the stay application filed before him. A garnishee order was passed under section 226(3) attaching the bank account of Sony India. The latter apprehends that as in the case of WP(C) No.1178/2014, in the present case too the first respondent may follow the same course and it may withdraw the disputed tax demand from the garnished bank accounts. 11. Both the appeals and the stay applications filed before the Tribunal are stated to be pending and no orders have been passed thereon. 12. The argument of the counsel for the petitioner in both the petitions is that the assessing officer was not justified in passing garnishee orders under section 226(3) of the Income Tax Act even while being aware that the petitioners have filed appeals and stay applications before the Tribunal. It is contended that the AO has shown unseemly haste in withdrawing the money from the Citi Bank without waiting for the outcome of the stay applications filed before the Tribunal. According to the counsel for the petitioners, this shows lack of faith in the judicial process and should be deprecated. He accordingly requests that the respondents should be restrained from withdrawing the monies from the bank account in WP(CP 1235/2014 and should be directed to return/reverse the same in WP(C) 1178/2014, where the amount was already withdrawn from the bank account. He also claims directions to the Tribunal to dispose of the stay applications at the earliest. 13. The learned standing counsel for the revenue submitted that the respondent was well within his rights in appropriating the amount of Rs.43.87 crores. 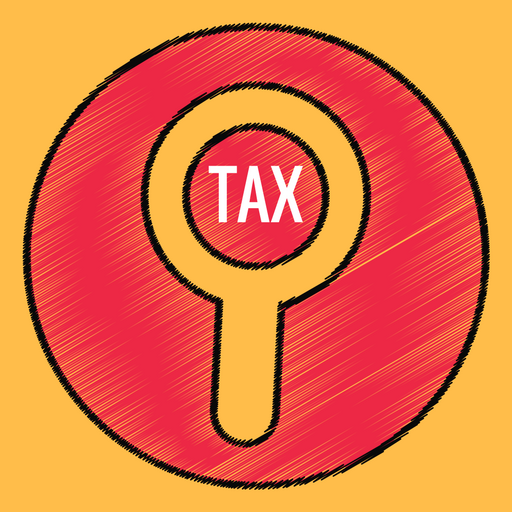 He submitted that the assessed tax demand became payable as soon as a period of 30 days from the date on which the notice of demand issued under Section 156 of the Act was served on the petitioner expired; since the demand notice was served on 17.1.2014, the tax became due for payment on the expiry of 30 days thereafter, i.e. 16.2.2014 and since the petitioner did not pay the same until that period, the assessing officer rightly resorted to recovery proceedings. He further pointed out that there was no impropriety in the assessing officer taking coercive measures to recover the tax, including attachment/garnishee orders under section 226(3) passed on 17.2.2014, since such step was taken after the stay applications filed by the petitioners were rejected; moreover the petitioner filed stay applications before the Tribunal on 17.2.2014 and 18.2.2014 which fact was not known to the assessing officer when he passed the orders under section 226(3). In these circumstances, it was submitted by the learned standing counsel that there was no illegality or impropriety in recovering the amounts due from the petitioners under section 156 of the Act. 14. We have carefully considered the facts and the material on record in the light of the rival submissions. Section 156 of the Act provides for the service of the notice of demand in the prescribed form pursuant to the framing of the assessment. This section does not provide for the period of 30 days within which tax is to be paid, failing which steps for recovery of the same can be taken. The period of 30 days is prescribed in section 220(1). The proviso to section 220(1) empowers the assessing officer, for sufficient reasons, to curtail the period of 30 days, if in his opinion the grant of 30 days will be detrimental to the revenue. Sub-section (3) of Section 220 empowers the assessing officer, on an application made by the assessee before the expiry of the due date under sub-section (1), to extend the time for payment or allow payment by instalments, subject to such conditions as he may think fit to impose in the circumstances of the case. Sub-section (4) says that if the tax demand is not paid within the period of 30 days or within the extended period, the assessee shall be deemed to be in default. Sub-section (6) confers a discretion upon the assessing officer to be exercised subject to such conditions as he may think fit to impose in the circumstances of the case, to treat the assessee as not being in default in respect of the amount in dispute in the appeal, if an appeal has been presented by the assessee under Section 246/ 246A even though the time for payment has expired; the discretion can be exercised by the assessing officer as long as the appeal remains undisposed of. 15. Technically section 220(3) requires an application for extension of time to pay the tax demanded or for permission to pay the same in instalments to be filed before the expiry of the due date for payment. In the present case, the petitioners filed the applications under Section 220(3) before the assessing officer on 14.02.2014, which satisfies the sub-section. This is not disputed. 14.02.2014 happened to be a Friday, and 15.02.2014 and 16.02.2014 were Saturday and Sunday. The next working day therefore was only 17.02.2014 and it was on this day that the assessing officer rejected the applications. The same day, he issued the garnishee order under Section 226(3) to the Citi Bank. It was on 17.02.2014 that Sony Mobile submitted a stay petition before the Tribunal seeking stay of the disputed tax demand in the appeal filed in ITA No.836/Del/2014 on 13.02.2014. Sony India Pvt. Ltd. seems to have filed an appeal before the Tribunal on 13.02.2014 in ITA No.837/Del/2014 but the stay application was filed before the Tribunal on 18.02.2014. At least in the case of Sony India Pvt. Ltd., the respondent could not have known that a stay application would be filed before the Tribunal on the next day. In the case of Sony Mobile, it is a moot question whether the assessing officer, at the time of passing the garnishee order and rejecting the stay application on 17.2.2014, was aware of the stay application filed by the petitioner on that day. His letter dated 17.2.2014 in this case states that mere filing of an appeal with the Tribunal is not good ground for the stay of the recovery proceedings. (f) the appeals filed by the assessee before the Tribunal shall be disposed of as expeditiously as possible. The writ petitions are disposed of in the above terms with no order as to costs. This entry was posted in Section 220, Section 226, Section 92C and tagged 363 ITR, Delhi High Court, In favour of Assessee.